The punchier Sport offering will debut next year. Several slideshows gave us a hint about these two versions. In comparison with the standard Swift, the beefier variant will feature more aggressive bumpers. A roof-placed spoiler and bigger wheels will also be present. 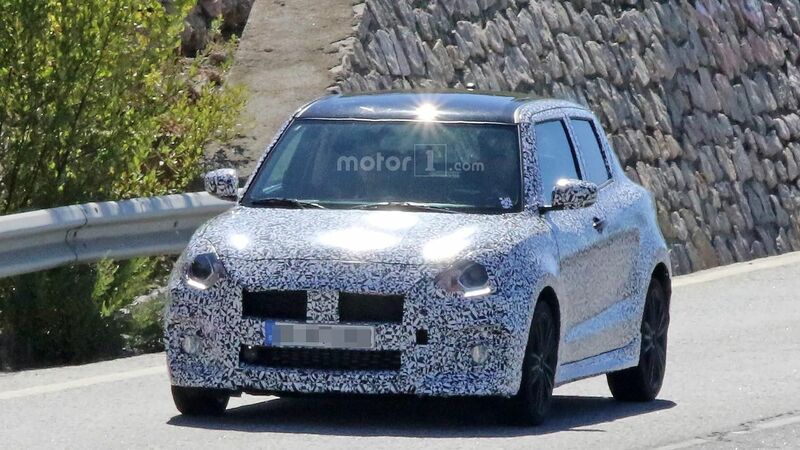 The vehicle will be equipped with LED daytime running lights at the front part and the handles for the doors at the back will be mounted near the C-pillars. The Swift Sport will be equipped with a 1.4-litre turbocharged engine. Spy photographs appeared in the Web. They do not reveal the cabin, but the slideshows include them. There will be a flat-bottomed helm with 3-spoke styling along with a big touchscreen display. The last one will be mounted above 3 rotary knobs for ac and ventilation controlling.